Goals from Jack Wilshere and Lukas Podolski were enough to see off Montpellier at the Emirates on Wednesday night, as well as secure Arsenal’s passage to the knockout stages of the competition. Laurent Koscielny came closest to scoring in the first half, only to see his close-range header cannon back off the crossbar. To be fair, the Gunners were well below their best before the break, but in the second-half they clicked into gear and were good value for their victory. Wilshere’s goal, on 49 minutes, was a fine dinky finish but Podolski’s volley on the hour mark was a thing of powerful German beauty. 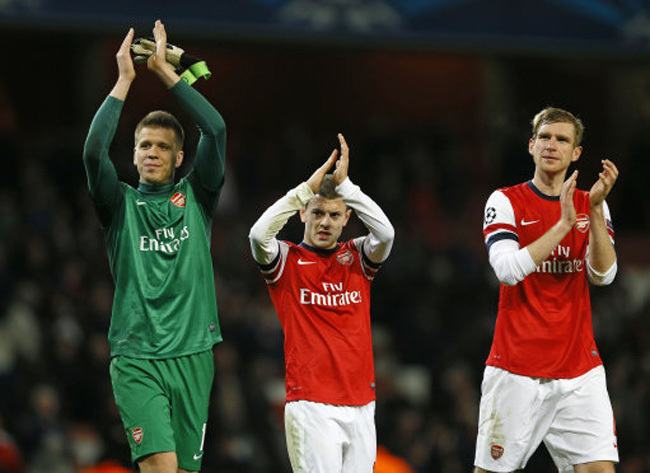 The Gunners are now one point behind Group B leaders Schalke with one game to go. Poldi himself is a thing of powerful German beauty… when he’s on. I hope this is a sign of good things to come.